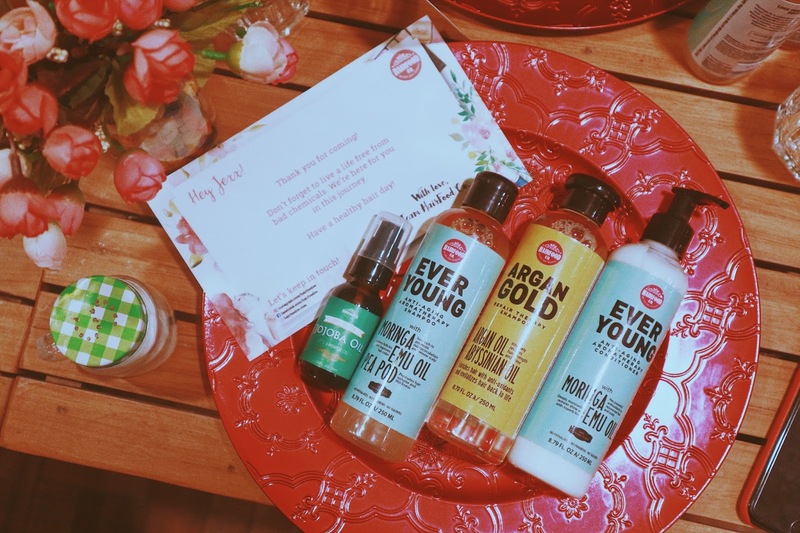 Healthy Hair Days with HairFood Co. I believe in the cliche, "Your hair is your crowning glory." I cannot go out of our house without fixing or styling it. I have used different products on my hair that it came to a point that it got dry and curly. SCARY. Add to that, I also have gray hair. I tried dyeing it myself but it did not work as well as I expected. It actually took a toll on my scalp and I had really bad dandruff. I have not tried any hair products on my hair since then except for regular anti-dandruff shampoo and conditioner. I saw this new brand of hair products at the mall called Hairfood Co but I did not even bother to ask what it is for because I thought their products are just for hair growth and thickening. And those are not my hair problems. I was surprised to receive an invite from their team last August for their Influencers' Night at Joanna's Kitchen. I was excited to attend the event because I really want to know more about their products. I met their team and learned a lot about their products. They were generous to give us some of their products. Needless to say, I could hardly wait to try everything out. I used the products the day after the event and I liked every single one. 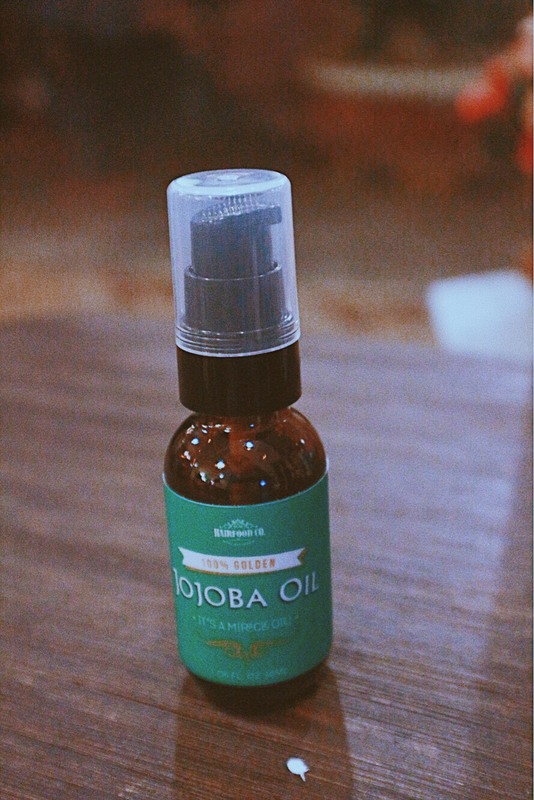 Jojoba Oil brings many benefits for your hair and skin. You can use it to moisturize your skin. It can cleanse your scalp, help your hair grow, and maintain your hair color. Hairfod Co.’s 100% Jojoba oil is not too sticky. I put a drop or two on my face before I sleep at night. I also use it as a hand cream before sleeping. It made my face moisturized and my hands soft when I wake in the morning. It is a good product. My mom also uses it on her hair and she likes it, too. 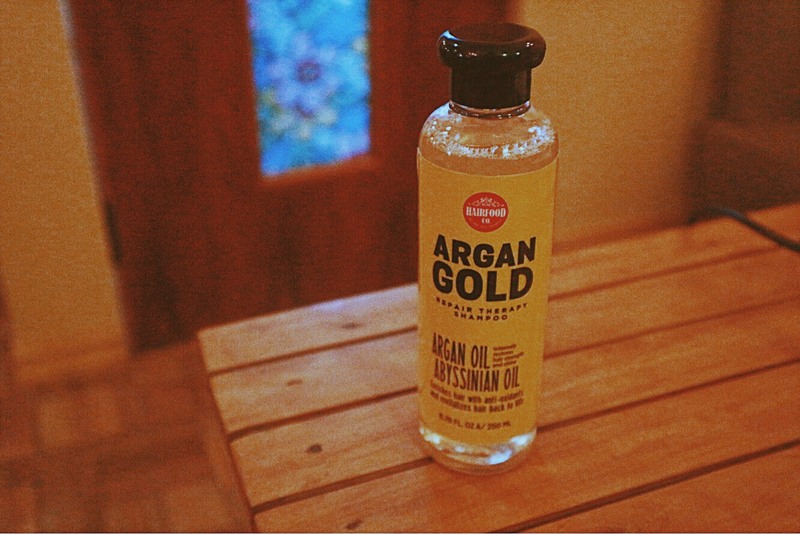 The Argan Gold Shampoo promises to revitalize hair from damage. This shampoo reduces frizz and enhances the shine and luster to your hair. I have not used this but I will soon. So come back here or check out my social media accounts listed below (or on the sidebar) to know my feedback on this product. 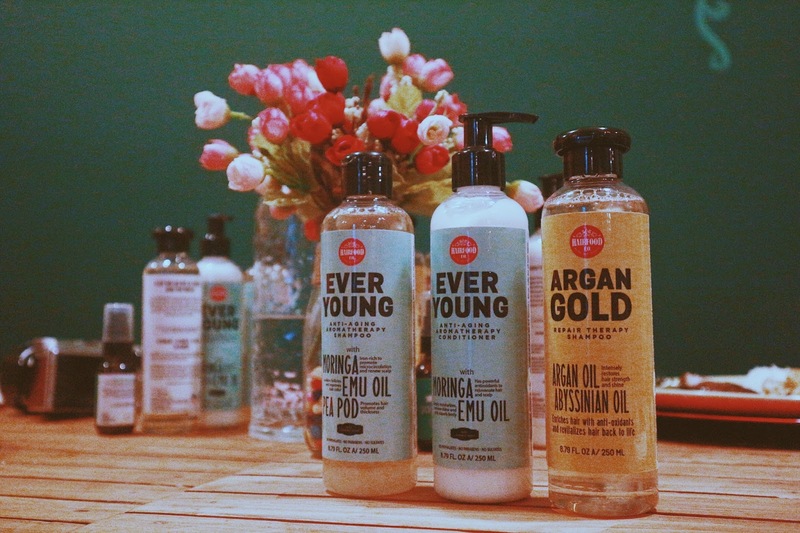 Ever Young is the new revolutionary product line of HairFood Co. It has 3 power ingredients: Moringa, Emu Oil, and Pea Pods. This shampoo reduces free radicals that are the root cause of premature graying of hair. This is perfect for gray hair prevention. 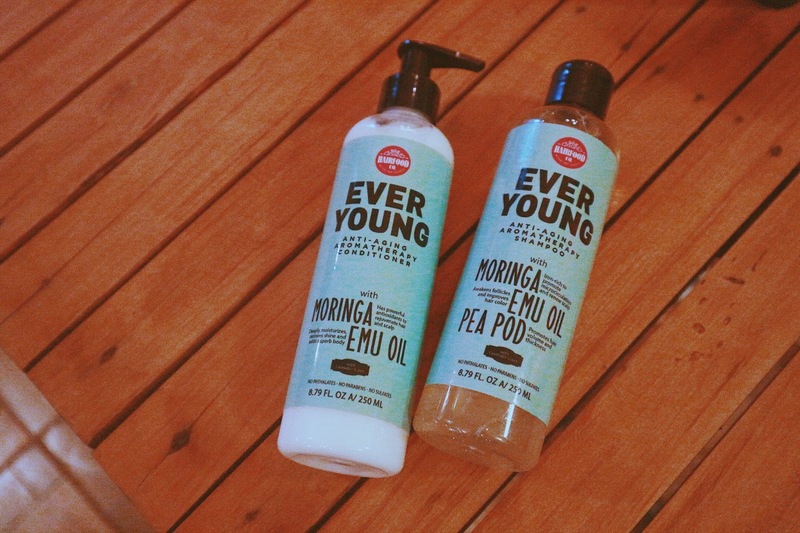 Meanwhile, the Ever Young Conditioner revives aging hair. It helps deliver oxygen and nutrients so that your hair follicles are rejuvenated. It also combats common hair problems like breakage, dandruff, and split ends. The Ever Young Shampoo and Conditioner are my favorites. I have been using both for a month now and I no longer feel itchiness on my scalp. The conditioner made my scalp moisturized throughout the day. I also love the scent of the shampoo. Both of my parents also loved the products and they asked me to buy a new set just for them. Good thing I won gift certificates at the event and from their Instagram contest. I was able to buy a set of Ever Young Shampoo and Conditioner for my parents. I'll share my Dad's Hairfood Co. experience soon on this blog so do come back for that. I find their products expensive. But if you are interested in taking good care of your hair, you should try their products. You can see the results in less than 3 months. So even if they are expensive, the Hairfood Co. products deliver on their promises so you are able to get good value for your money. They have different hair products so I suggest you ask their sales staff to get the product that suits your hair needs. 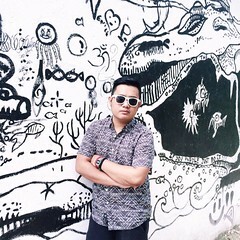 Thank you HairFood Co for inviting me to your Influencers' Night! copy paste isn't exactly review. i was expecting these bloggers to do their job and actually test the product and/or research about the ingredients. and by research, i mean not just copy paste from what others say but report the fact.